Valentine and her team go out for a simple search and rescue, none of them realizing the chaos they were about to fall into. Altair, Ezio, and Connor are sent to Equestria, but for what reason? I'm a brony, big surprise there but I'm proud of it. When given the chance to go to Equestria I wrote it off as the ramblings of a mad man. Boy was I sure wrong, now I'm stuck in the middle of something way over my head in a body three sizes to big trying desperately to reunite a filly with her mother. Thus begins my days in Equestria, my days as Thud, the mountain troll. This is set in the chess game of the gods universe with other stories like griffin the griffin and the ballad of echo so enjoy. All characters and places used with permission from the authors. MS Word works quite well for spelling/grammar checks. It's what I use for my stories. Your story well written. I like it, and am interested to see where it goes from here. Also, I'd be more than willing to help with quality checks, if you want. Please and thank you, I use open office personally. I manage to catch a few but I end up missing just as many if you ever do find something glaringly obvious please do point it out to me. "You say no to those eyes." Erm, was it sopposed to be "You don't say no to those eyes." ? its meant to be him talking to the reader in a sense telling them in a sarcastic way "why don't you say no and see how that works" i can change it if its too confusing. thinking of the last episode of My Little Pony as normal capitalize the name of the show. “I can you know, just tell me where,” alright missed the 'L' typing in MS word will help catch that one. “Fine," I responded, "send me to Equestria then, watch out for the punctuation marks. Warner Brothers cartoon. again, capitalize proper nouns. Well, I like the story. Something you can work on is the spacing of the paragraphs. You seemed to break after every other sentence or so, but some of them can be condensed a bit more to form more full paragraphs. Another thing is to look around for proper nouns to capitalize. I pointed a few of them out above, but there were more towards the end. I didn't notice anything glaring grammar wise though besides what is written above. Hope this helps out a bit, and can't wait to see where you are going to go with this one. I think that you have a good story here. I am interested to see how it turns out. I am thinking on creating a fanfic my self so I am reading some to get some ideas. 736759 it might've been a timber wolf... He didn't get a very good look at it, and he is in the wild. Good start so far. Color me impressed. here it is chapter 2, some new info about thud for you people and the start of the trip for both of them. as with last time if any one finds any glaring grammar problems please let me know and I will fix it asap. i try my best to find things but I'm only human. Yipeee! I keep waiting eagerly for the moment that I read..... THUD SMASH!!! I like Thud, he sounds like World Of Warcraft 3 orc and he is an absolute beast. aww... Still no "THUD ANGRY! THUD SMASH!!!" You guys are making it very hard to not slip that in, you know that right. 757033 I hope so... That would make me larf! Since you asked for spelling corrections. Focus lost and i cant see more. ... I am okay with this. Really it IS a bit rushed but apart from that a decent fic all around. Mr. Thud needs to get a rubber suit. Bit of advice: keep Thud away from Skeleton Jack, she's gone without for three weeks and she has VERY unique tastes in men. "Quiet you, if he wants it he wants it!" 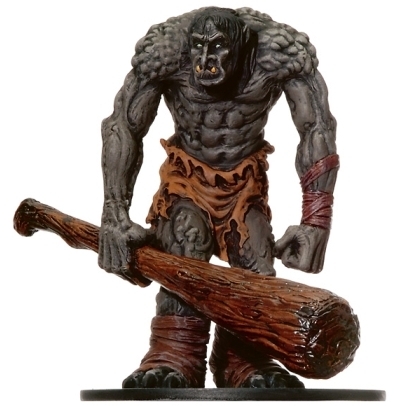 Greatly enjoying your character, the fear and vulnerability to fire was a nice touch to tone down incredible troll strength and healing abilities, and his lack of social skills is a good character flaw. 3rd chapter and still going strong! Like the troll patriarch as his guiding spirit and troll abilities sound beast! I was wondering if we were gonna have a Troll talking like a professor from Yale. But now how will the Troll troll? Why he no speak good talking? me explain, no worry, have reason. His biggest handicap seems to be merely a speech impediment. I'm glad his thoughts are still intelligent, though it probably frustrates him to no end. It's an alright story. that was what I was going for, bit of internal strife as well as misunderstandings galore. Other than that, the obligatory THUD SMASH!!!! Thud smash indeed, Thud smash indeed. 873834 Did enjoy very much, thanks. "I tried my best to t find the road" What is that doing there? Do you want the "EVIL EYES OF ALL SEEING" To try and find some faults? Oh snap! The faecal matter just became tangible. And I'm glad to see you finally managed to fit in a Hulk reference. Not bad. Not bad at all. I am liking your character. Reminded me of Nunu from leagues of legends You don't make the yeti angry you won't like it when he's angry. spoilers, you are going to have to wait. Noooooo! Thud is going to look forward to a life of slavery and impr... ... ... ... It just occurs to me, that being a Troll, even if they capture him, these Dogs may have bitten off more than they could ever possibly chew.